Beginning from today in some territories, you’ll be able to change your PlayStation Network name. However, the procedure does not come without caveats – as expected. Due to last year’s beta test, the platform holder has identified a list of titles with ‘Critical Issues’ – and, perhaps amusingly, they’re mostly first-party releases. ONRUSH’s inclusion on the list is surprising, as it released in June 2018 – after the April 2018 cut-off point that Sony mandated compatibility with PSN name changes. This means there could potentially be other stragglers, and while it generally seems safe to alter your username at this stage, you should be aware of the risks before you pull the trigger. Update (16:00 BST): You can learn a little more about how LittleBigPlanet is handling the transition through here. It really isn’t convincing that the list is predominantly first party games, makes you wonder what infrastructure they were using on so many games. @IronHammersFC Or did they mainly focus the testing on first party games and didn't test ALL games. Can't believe a company like Sony was running a ruined database structure for almost a century like storing data of users with a reference of PSN ID's instead of actual numbered ID's in database. They should have changed this system years ago. Looks like a noob software developer made their database structure years ago and they were still using that. Hey, maybe they will take this opportunity to give a crap about the quality of their franchises. They'll surely patch Everybody's Golf, right? I can understand them leaving MLB 14, but EG is still a popular game! @ILoveVideoGames Or more likely - they didn't see the future connotations and wanted to get a service up and running as quick as possible to stop the PlayStation brand sinking against the online infrastructure of Xbox. They may not have considered name changes. I wish they would clarify which issues would be run into among critical issues. Not say here are a few we may have is if identified. Was LBP3 ever patched from the problem I had were I couldn't even play the game b/c I had DLC from previous games? If they couldn't fix that major broken game problem they'll never fix this. @themcnoisy Then their DB architect should have been fired! Even if they didn’t consider name changes, making the username the primary key for their accounts DB is just bad design - use a GUID or some other uniquely generated key! @NintendoFan4Lyf It's easy to say that in hindsight now we are all database experts. Pretty harsh to ask for someone's head as the service has and does function. In contrast I would rebuild the database from scratch with a unique known reference as the key and the current key (user name) moved over to a username slot. Easier said than done with millions of users but that would be my method. 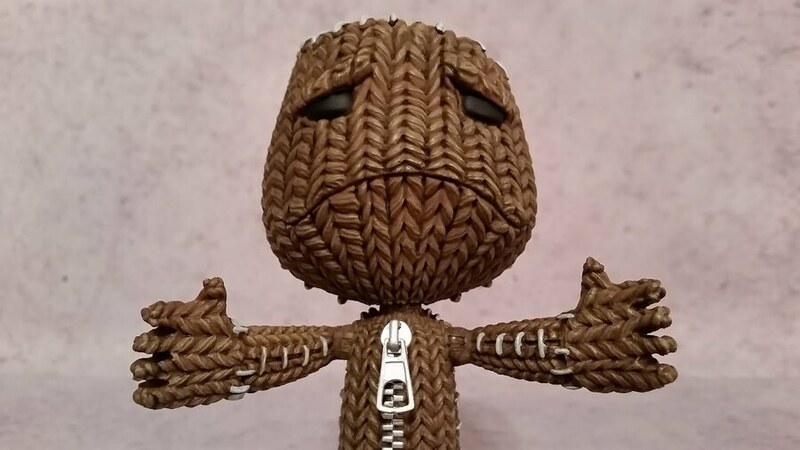 Just played LBP3 last night. (great game, I had loads of fun playing in a group but man it's a bit of a buggy mess in need of a patch) also I still use both my Vita and PS3. My digital games library is worth more than a name change. I read in the Q&A that reverting back to the original PSN ID doesn't guarantee all problems will be resolved and some content could be lost for good. @Dange I totally understand that but the PS3 games i still own i are the ones i never openend so im safe. 😁 But i think ill keep my name. Do any of you want to change your PSN ID though? I wish that they had just done what Steam does with a permanent account name and a second, changeable user name that is used in games. Then whatever games don't work with the new, changeable names could just use the original account name. @NintendoFan4Lyf Fired? LOL. That guy's got promoted to Playstation CEO - no joking here. Well i changed mine. Hopefully none of my billions of games lose progress etc.